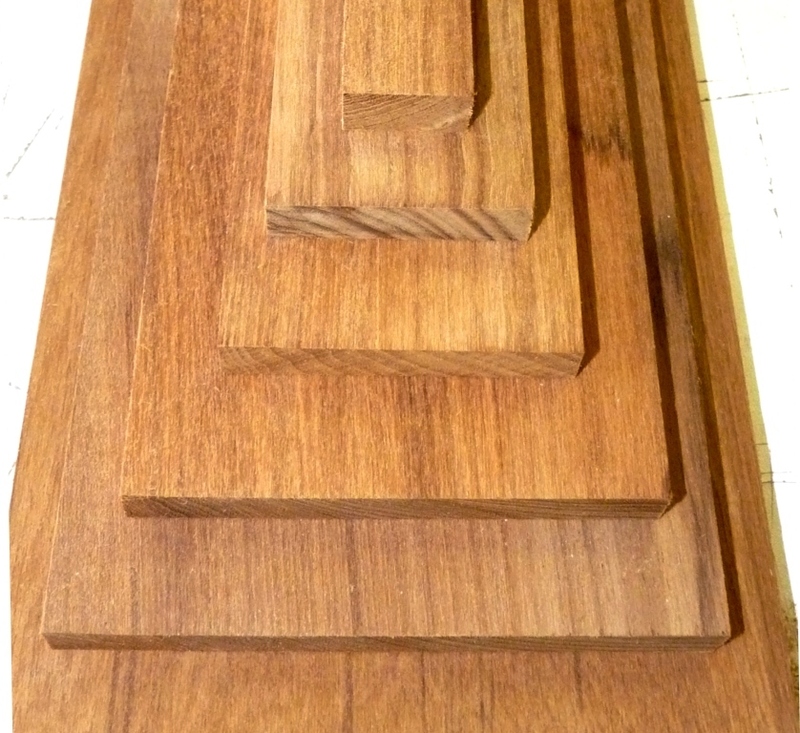 Nominal 2" Thick Milled Asian Teak Marine Lumber -- 1' To 5' Long -- Up To 6" Wide. These dimensional teak boards are surfaced all four sides (S4S). Nominal 2" varies from 1-7/8" to 1-15/16", but we make every effort keep the thickness consistent across multiple boards in a single order. Length and width dimensions are accurate to within 1/16". We offer a range of standard widths and lengths for our nominal 2" marine teak, all the way from nominal 2" wide x 1' long to 6" wide by 5' long. We usually can also provide S4S boards wider than 6" and longer than 5' on request. These nominal 2" thick milled teak sizes provide superior quality in ready-to-use dimensional marine lumber for boat owners. And as with all the teak we sell, these nominal 2" thick boards are First European Quality (FEQ) Asian lumber. If The Estimated Cost Is Too High -- If the actual shipping & handling cost is less than the estimated cost you're charged when placing your order, we promptly refund the overpayment back to your credit card account or your PayPal account. This normally takes 1 or 2 business days to be applied. If The Estimated Cost Is Too Low -- We absorb the difference. Shipping costs for teak boards sent via UPS (or FedEx) are appreciably higher when the package length is 60" (5') or greater. This is true even when the package contains thin, narrow boards and weighs only a few pounds. Our handling charges range from a few dollars for small shipments sent in standard boxes, to several dollars for custom-built packages required for large teak shipments, or for packages that require extra protection against damage. In all cases, we try to hold our shipping costs to a minimum while ensuring that the teak you order order shows up in excellent condition. Prompt and courteous response to questions. Beautiful clear teak lumber with great color. The real stuff! Great wood and great service. The board was straight as an arrow. It was a pleasure to make new boat rails. I would buy again in a second. 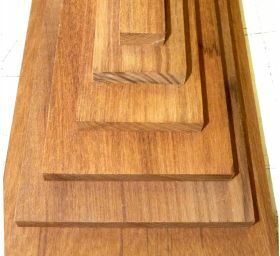 I purchased a 2"x 3" x 60" piece for an porch handrail. The piece that I received was spectacular! Delivery fast, quality terrific. Thank you! My third time ordering. Once again, beautiful wood, delivered quickly and packed so well it will take you longer to open the package than work the wood. I'll keep coming back. Wow. Wood was precisely cut, packed with incredible care, arrived promptly. I'll be back. The boards are beautiful. Very nice work. I got just what I hoped for.